The human shoulder is the most mobile joint in the body. This mobility provides the upper extremity with tremendous range of motion such as adduction, abduction, flexion, extension, internal rotation, external rotation, and 360° circumduction in the sagittal plane. Furthermore, the shoulder allows for scapular protraction, retraction, elevation, and depression. 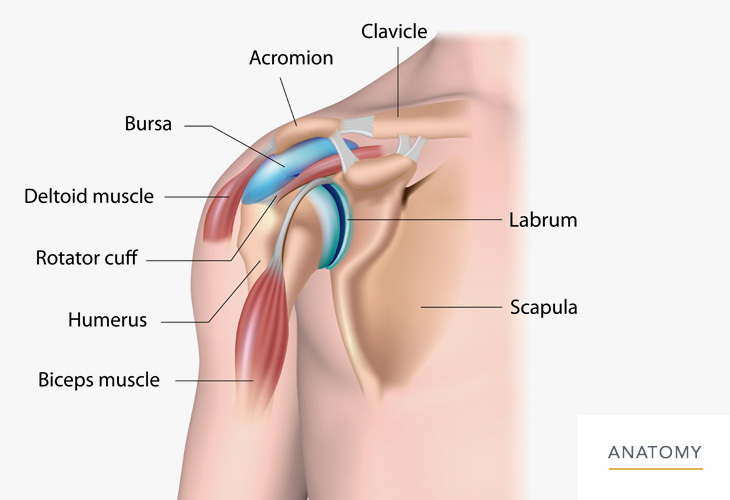 This wide range of motion also makes the shoulder joint unstable. This instability is compensated for by rotator cuff muscles, tendons, ligaments, and the glenoid labrum.